Eamon has been a dominant and important fiddle and mandolin player on the traditional Irish music scene for many years. He was brought up in this tradition, along with his brothers Michael (pipes & vocals) and Terry (flute and vocals), by his father, Eamon Coyne, Sr. of the world famous Liverpool Ceili Band. 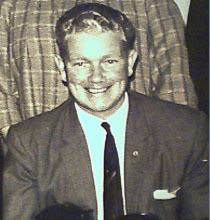 Eamon, along with his brothers, became members of Cohaltas Ceoltoiri Eireann . They entered and won many competitions in England and Ireland including the All Ireland Ceili Band and Seisiun Competitions. Eamon also won the all Britain championship on fiddle. When Eamon was 18 he went to Europe for two years playing at all the major folk festivals. He acquired great experience in stage performance and enhanced his energetic fiddle style. Eamon went to Ireland in the mid 80s and for many years was the driving force in the music scene of Miltown Malbay in County Clare and instrumental in leading concerts and sessions in Ennis and Doolin. He played regularly with other top musicians such as Tommy & Siobhan Peoples and Brendan McGlinchey, and many others. Eamons solo CD Liverpool Connections was launched in 2002 at the Ennis Traditional Festival in County Clare, Ireland. The Ennis Festival Committee said it was the best CD launch in the festivals history, and his CD continues to receive great reviews. Eamon is known for his unique fiddle style and is in much demand for session and performance work by a variety of top recording artists. Eamon is also a noted composer of melodies and tunes which are played by many of todays traditional performers. He has performed for the King and Queen of Spain, the President of Ireland and Secretary of State Condoleezza Rice along with many other dignitaries. Eamon was a regular face in the Irish Traditional Music TV programme Come West along the Road and has been heard on radio programs in many parts of the world. Eamon currently resides in the United States and has played in many venues in and around the Boston area performing with Paddy Keenan, Martin Hayes, Liz Carroll. Seamus Connelly, Brendan Mulvihill,Dave Munnelly, John Whelan, Patsy Whelan and Mance Grady to name a few. Eamon continues to travel back to Europe and Ireland and plays regularly there with his brothers Michael and Terry. Eamon for the past 12 years has used his musical abilities to great affect by working with adults and children with learning difficulties and people who have sight impairments Eamon facilitated many musical therapy sessions and had great success with a dance troupe who performed with all the best folk dance troupes in England. Eamon is also a talented dance caller and has choreographed dances for people in wheelchairs, adults with learning difficulties and various other cultural groups. Eamon continues to teach private individual and group classes and has participated in workshops in the USA, Europe and Ireland. My Dad Eamon Coyne was born in Tulsk, Co Roscommon. His family moved to Liverpool when he was young. They lived in a part of Liverpool called Crosby. He started to play music with his life long friend Sean McNamara in the late 1950's. It was around this time that the Liverpool Ceili Band was being formed of which he was a founder member. The Liverpool Ceili Band went on to win the All Ireland several times in the mid-60's. He always looked happiest when he was playing and he had a big smile on his face when the fiddle was in his hand and he was leading the session . For as long as I can remember, my brothers Mick and Terry and I have been playing music together. We all started taking lessons in the Liverpool Irish Centre. We were in the Junior Ceili bands together and played in duets and trios. Later we joined the Liverpool Ceili Band with my dad on one side and Pat Finn on the other. I now live in Merrimac, Massachusetts in the U.S. while Michael lives in Ennis, Co. Clare and Terry lives in N. Wales. We still meet 3 or 4 times a year at music festivals and we do occasional European tours together.